Wall Street and the Federal Reserve aren't on the same page. Many Fed committee members are projecting four interest rate hikes this year. But markets overall only believe there will be two. That's a big gap in the investing world. "The market is underestimating where we're going to be," Stanley Fischer, the Fed's vice chair, told CNBC Tuesday morning. "We think that they're too low." In December, the Fed set it's short term interest rate at 0.25% and forecast that rates could be at 1.25% in a year. But not Wall Street -- most see the rate go up to 0.75% at best. With fears about China's slowdown back on the rise, and North Korea's alleged hydrogen bomb test, markets are increasingly on edge. Those concerns may dim investor's outlook on future Fed rate hikes. "There are levels of uncertainty and they've risen a bit now," said Fischer. Other Fed members feel the uncertainty too. The Fed increased rates in December for the first time in nearly a decade, and signaled that it is on track to raise rates, albeit at a gradual pace. The Fed's committee voted unanimously for a rate hike, but minutes released from the meeting show that members weren't confident about the U.S. economy as its projections suggest. December's rate hike was a "close call" for some committee members, according to the minutes released Wednesday. Some members expressed "significant concern" about U.S. inflation, which is being held down by low prices for commodities like oil. The Fed is also concerned about the rising strength of the dollar and emerging markets. "[Fed committee members] cited a number of lingering concerns, including the possibility that further dollar appreciation and persistent weakness in commodity prices could increase the stress on emerging market economies," said the Fed in its minutes. Wall Street already seems to be giving more weight to those risks than the Fed. Only one out of 10 experts surveyed by CNNMoney sees four rate hikes this year. Fischer argues that the factors holding back the U.S. economy -- a stronger dollar and falling oil prices -- will probably abate later in the year. Oil prices may not fall much more, but as long as they're stable, that should allow U.S. inflation to rise towards the Fed's 2% goal, he said. "Those declines in oil and the appreciation in the dollar aren't going to go on forever, or for even very long," said Fischer. However, it's important to note that Fed rate hikes are sometimes the very thing that strengthens the dollar even more. And other central banks around the globe are cutting interest rates, which typically weakens their currencies. 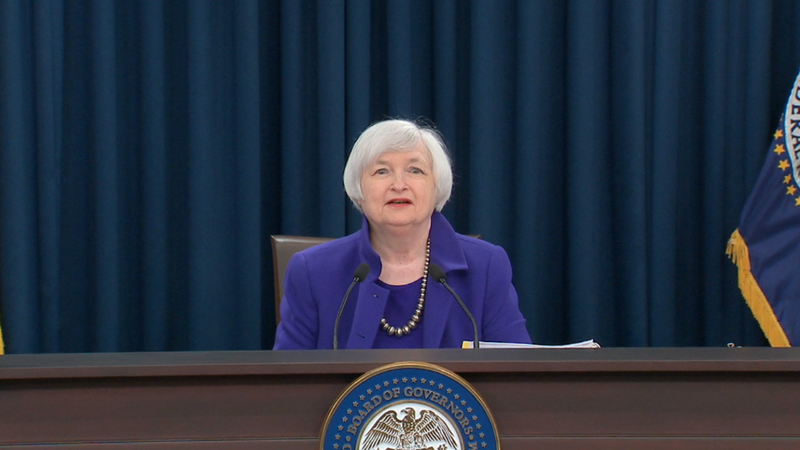 Fischer emphasized that he isn't sure how many rate hikes the Fed will do this year, but said that four rate hikes are "in the ballpark," for 2016 -- at least for now.